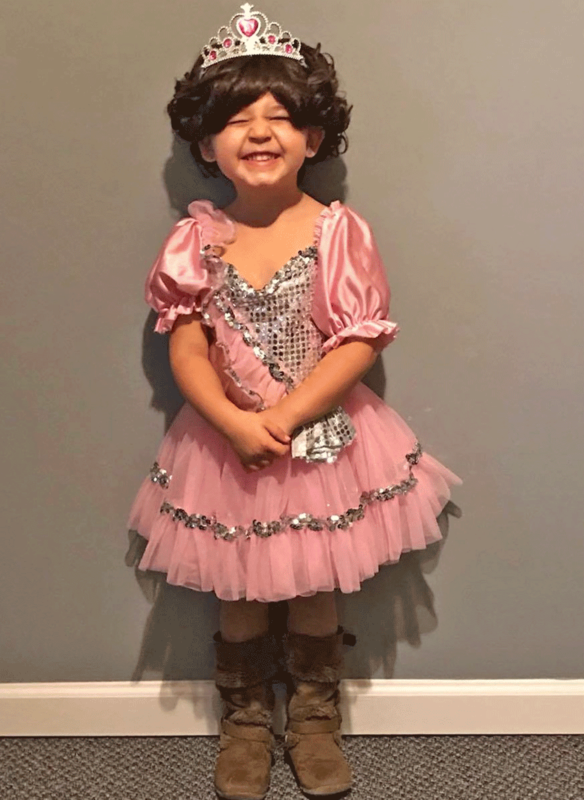 Hailey Richards, 3, all ready for her first Halloween party at St. Lawrence Central Headstart. Photo submitted by Michelle Lucas. 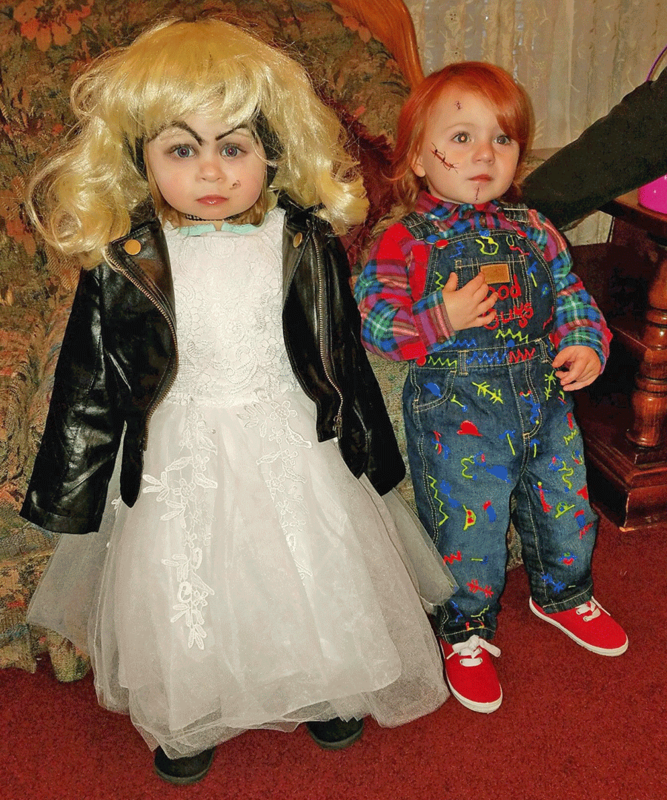 One-year old first cousins and best friends Eden Hammond and Zachary O'Malia looked killer as Chucky and his bride Tiffany this Halloween. 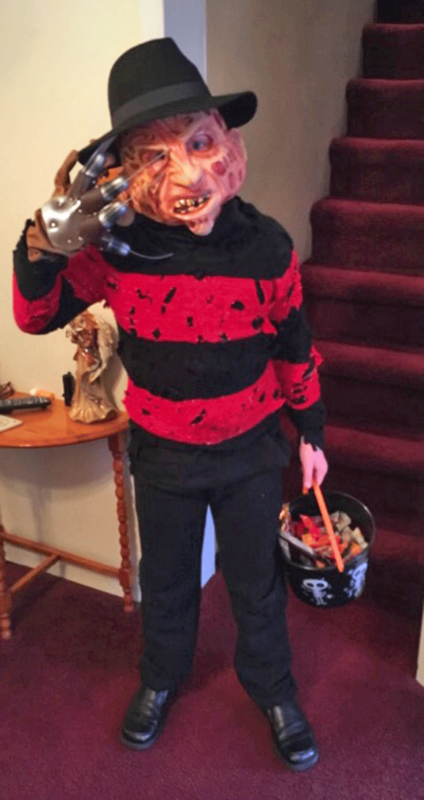 Seth Hammond, 9, Ogdensburg, dressed as Freddy Krueger during his night out searching for goodies on Halloween. Photo submitted by Bella Hammond. 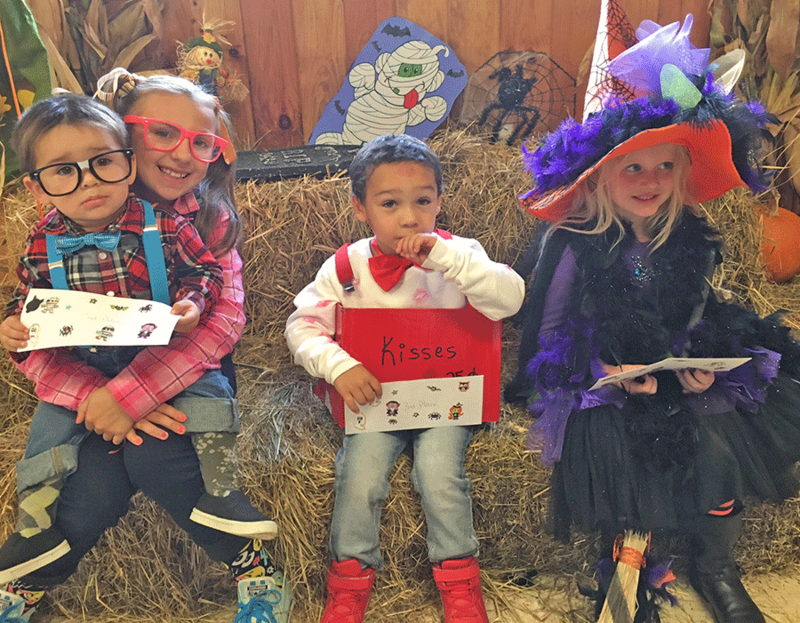 Norwood American Legion kids Halloween party costume winners were Lily Rafferty, first place for witch on a broom; Brocspen and Aryiah Clark second place for nerds; and Jerone Burks, third place for kiss box. 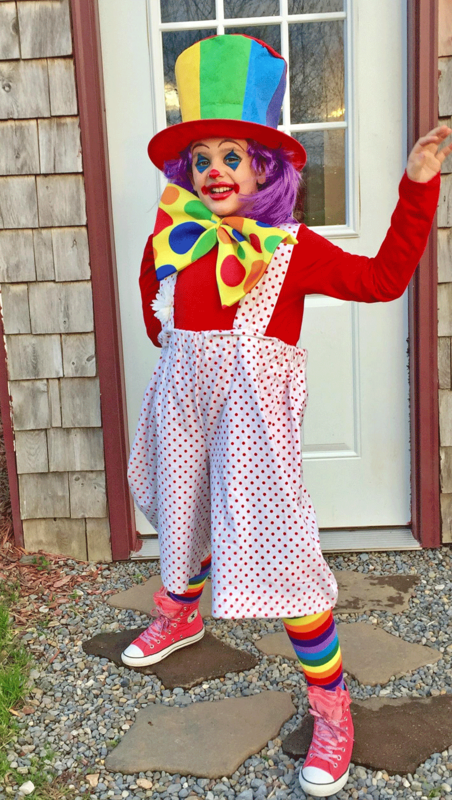 Khloe Thompson gets ready to go trick or treating on Halloween in Heuvelton. Photo by Greg Thompson. 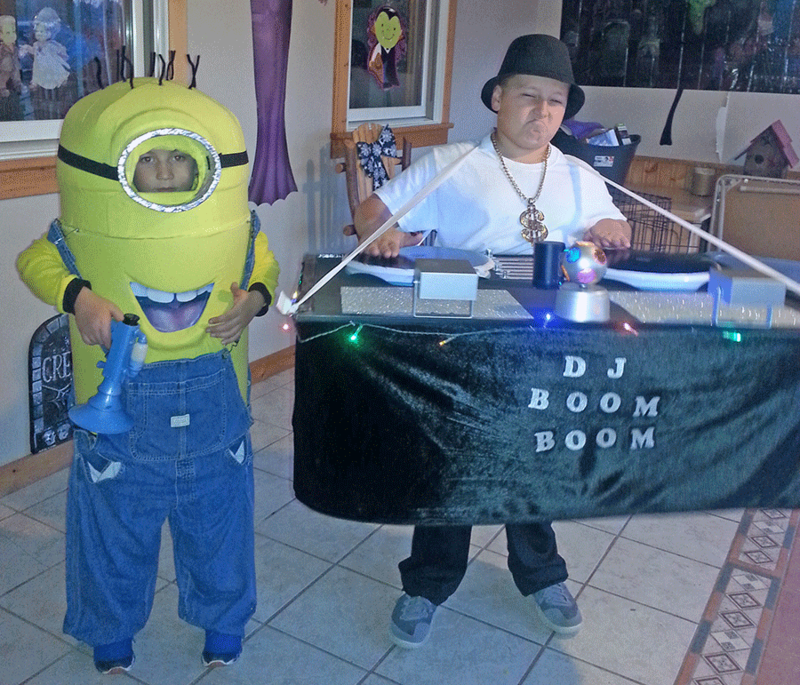 Ryley and Ryder Liscum of Heuvelton dressed up as a Minion and DJ Biggie Smalls. Photo submitted by Audrey Liscum. 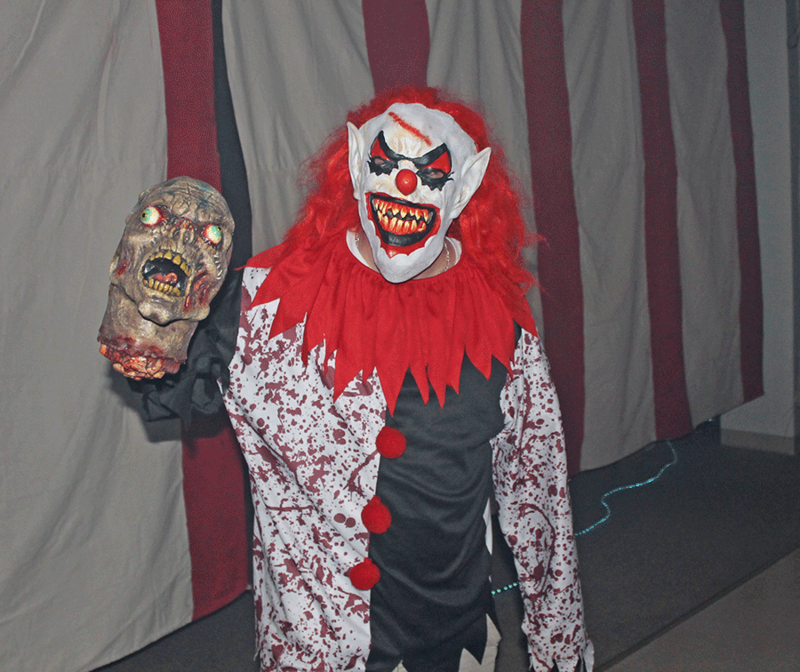 Above is one of the volunteer performers at the Halloween Haunt attraction in Massena. 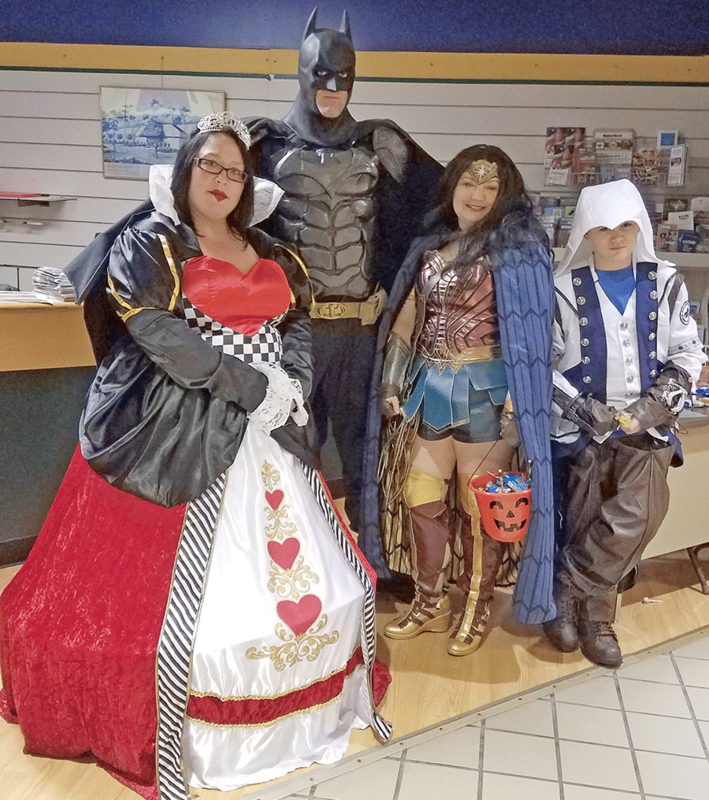 Above at the Mall-O-Ween in Massena are mall manager Erica Leonard as the Queen of Hearts and North Country Crusaders Batman, Wonder Woman and Shadowman. 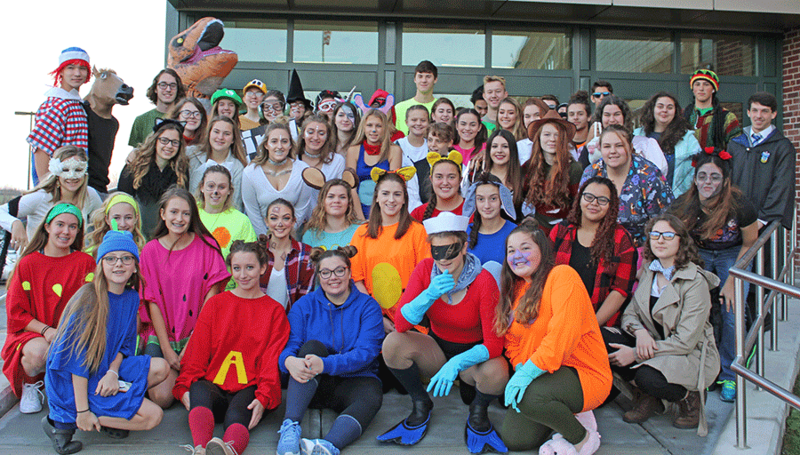 High school students at Norwood-Norfolk Central School donned costumes for some Halloween fun this year. 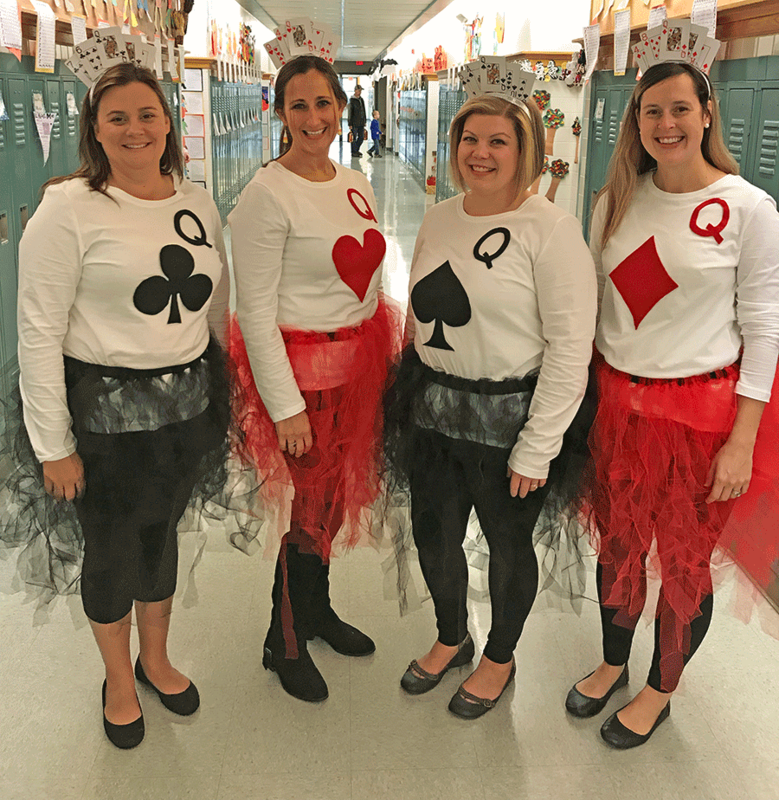 Fourth grade teachers at Norwood-Norfolk Elementary School dressed as a 'House of Cards' for the school's Halloween parade. From left, Angela Regan, Ashley Johnson, Brandi Akins and Sarah Bullard. 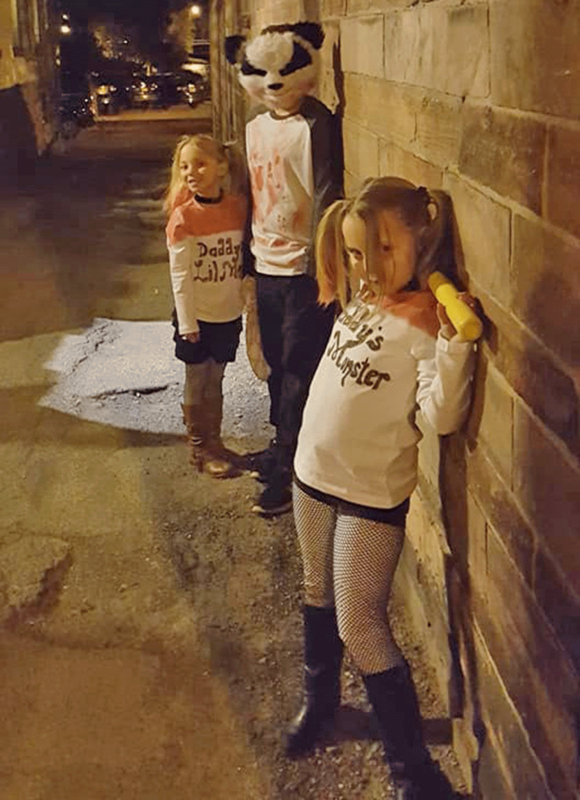 Above are Benjamin Krise as a Killer Panda and Abby and Addy Krise as Harley Quinn at the Fright Night event in Potsdam. 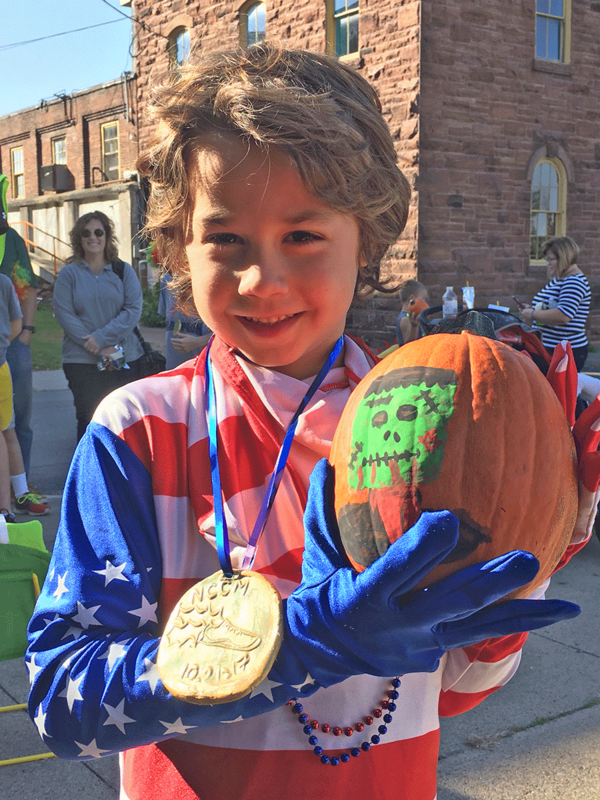 Luke Parker holds his prize pumpkin, wearing his handmade first place medal, which he won in the Family Fun Costume Run in Potsdam. 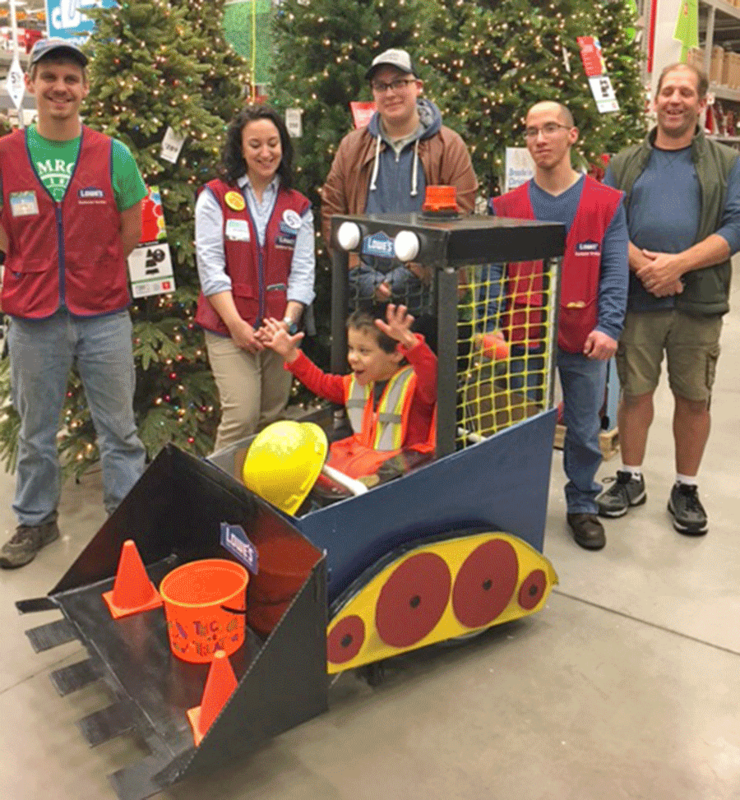 Lowe’s employees who joined in creating the bulldozer Halloween costume for Aiden Hernandez, 5, were Ian Pearl, Jasmine Relling, Sebastian Grimm, Zach Eng, Scott Shipman, Cassius Baker, Fred Kellison, Heather Reed, Maeghan Wallace and Becky Moulton. Hernandez uses a wheelchair, which the costume was built around. 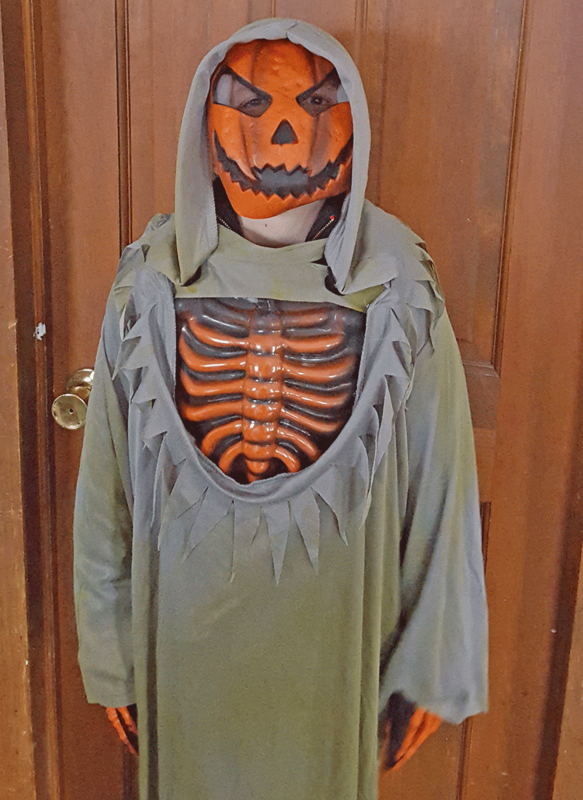 Andrew Burgess, 9, Ogdensburg dressed up as an evil pumpkin this year for Halloween. He is the son of Kelly Meunier. 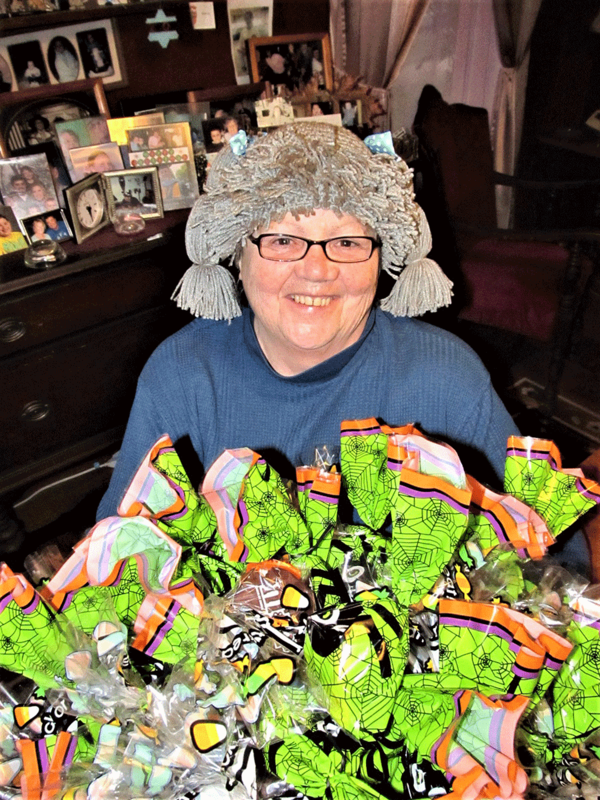 Sharon Dafoe of Richville ready for trick-or-treaters on Halloween night. 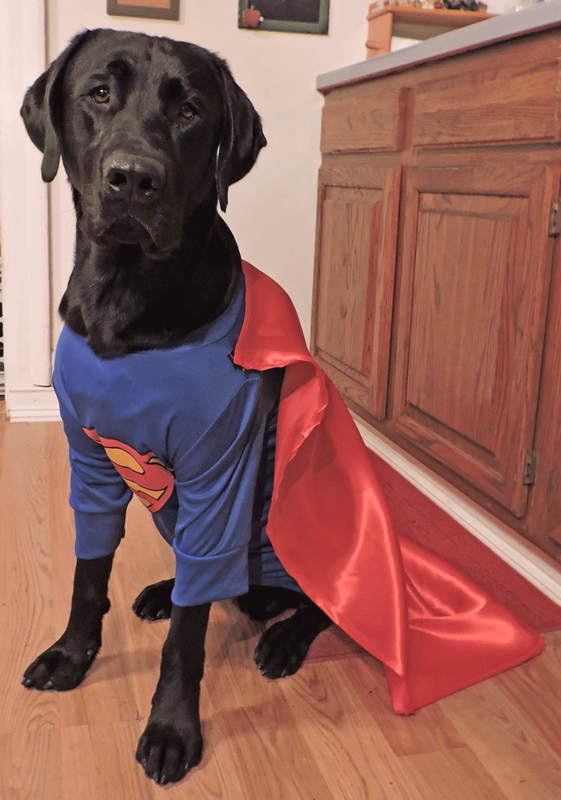 It’s a bird…it’s a plane…no, it’s ‘Super Dog Niko Davidson.’ Photo submitted by Rachel Skelly of Madrid. 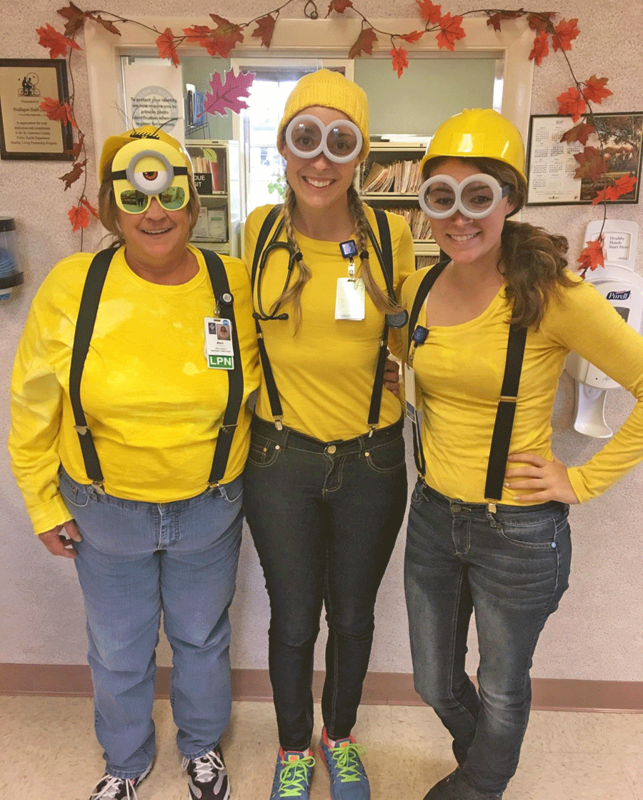 Waddington Health Center staff in Halloween costumes, from left, nurse Ann Wilson, provider Maggie Ecker and receptionist Megan Parmeter. 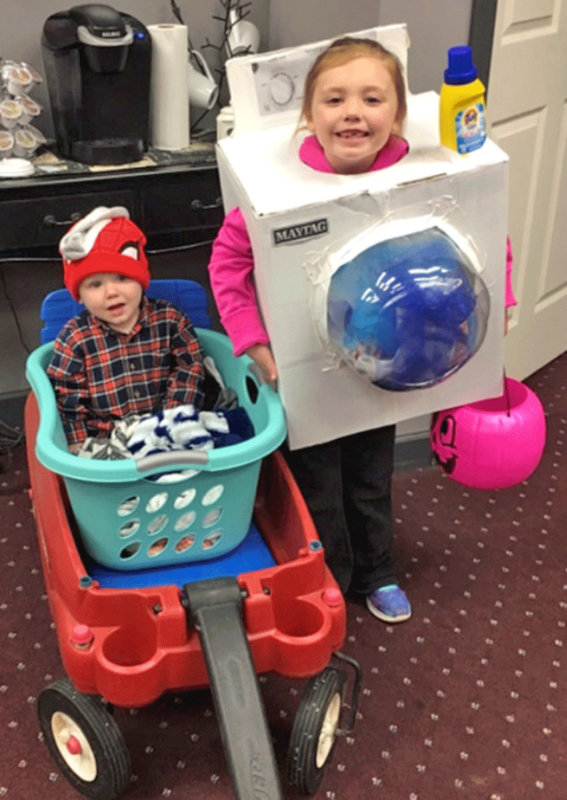 Above are siblings Nataleigh and Landen Gonyou having Halloween fun before school in Winthrop. 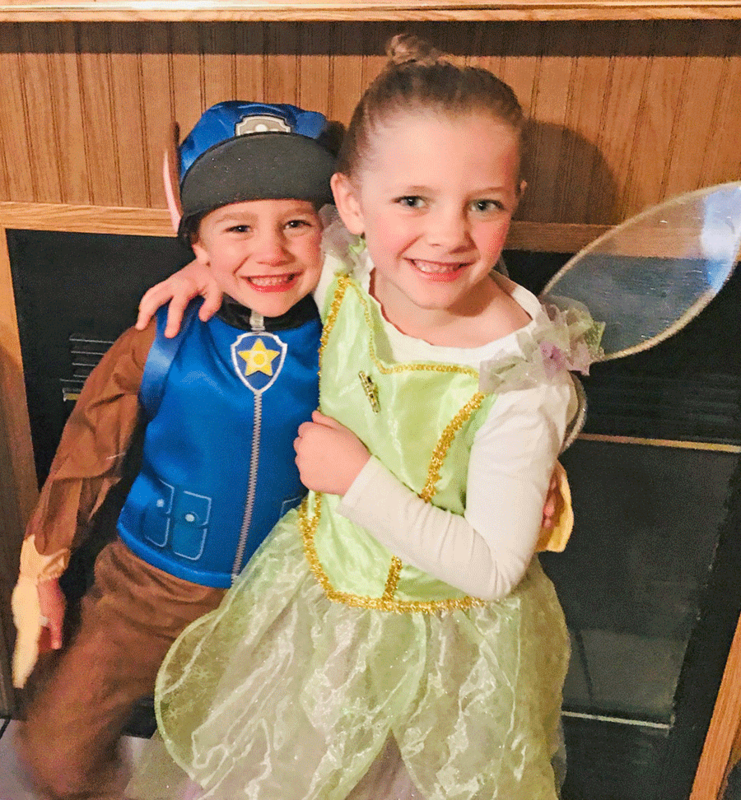 Photo submitted by Haven LaBar. 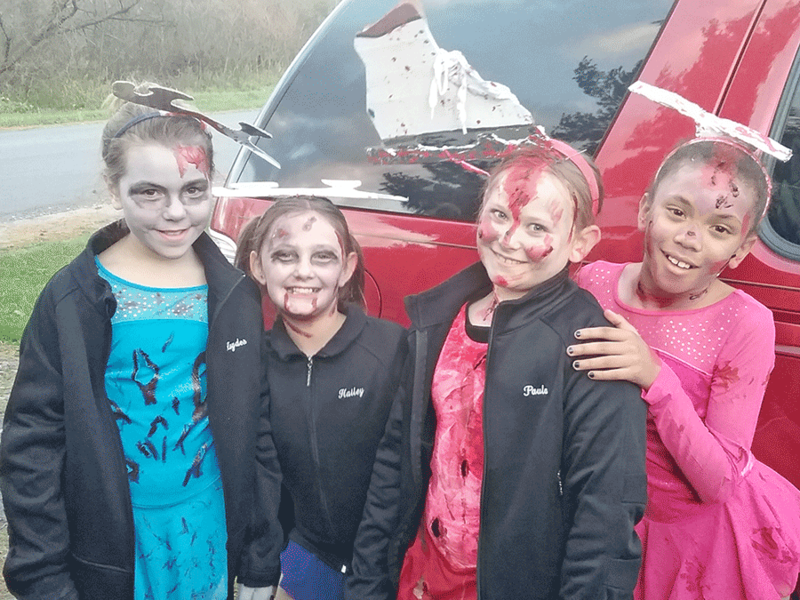 Potsdam figure skaters Hayden Spoor, Hailey Richards and Paula Sherman and friend Jasmine Mcnight dressed up as zombie figure skaters. Photo submitted by Stacey Sprague. 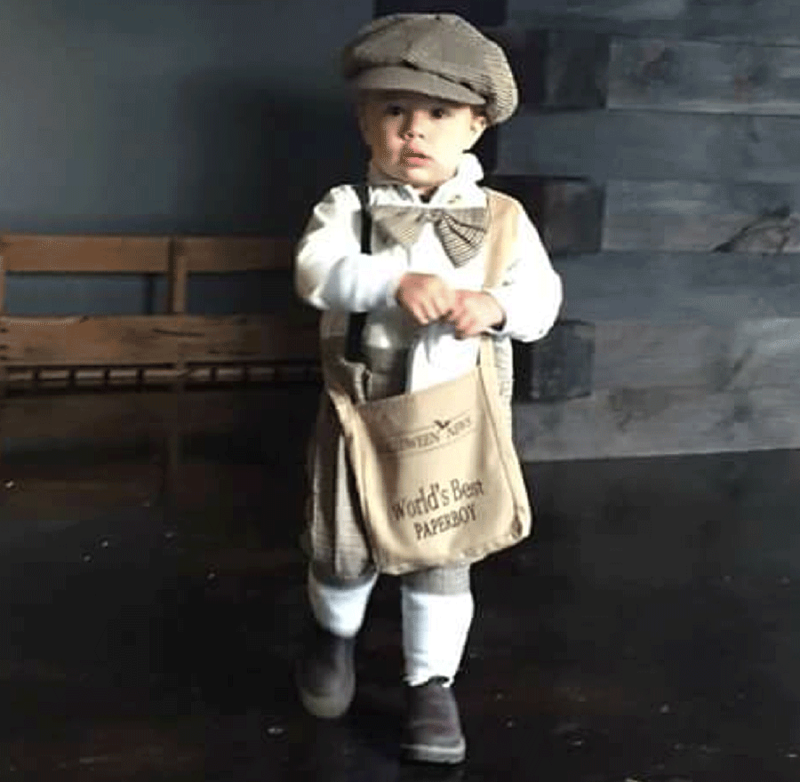 Liam Anthony Arduine of Russell dressed as an old tyme delivery boy for Halloween. Photo submitted by Rondi Jo Dunn. 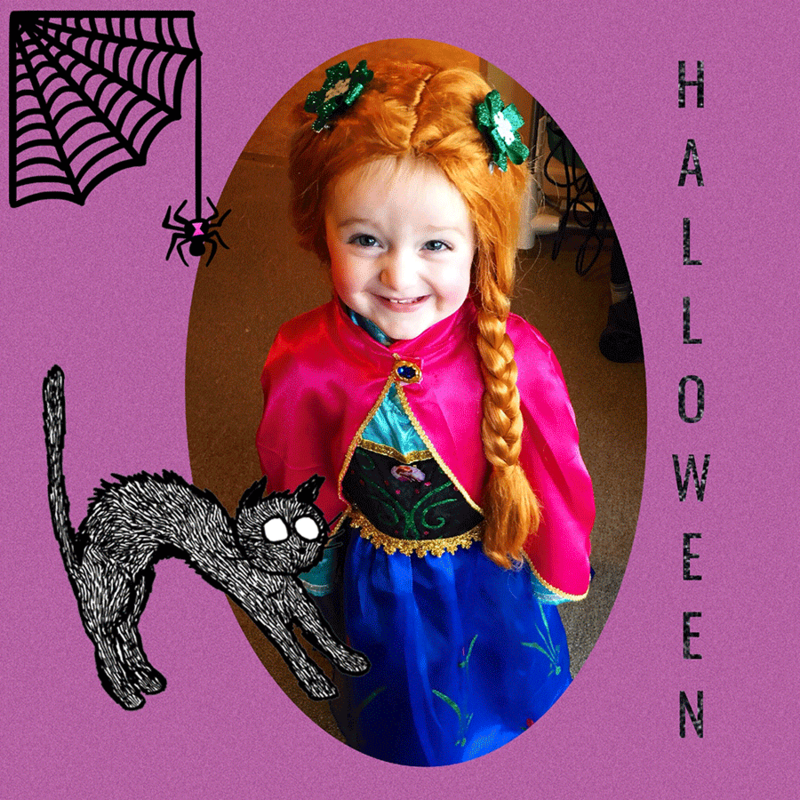 Grace Marsey, 2, Norfolk, gets ready for Mall-O-Ween at the St. Lawrence Centre mall in Massena as Princess Anna from Disney’s Frozen. She is the daughter of Kazz and Brandi Marsey. 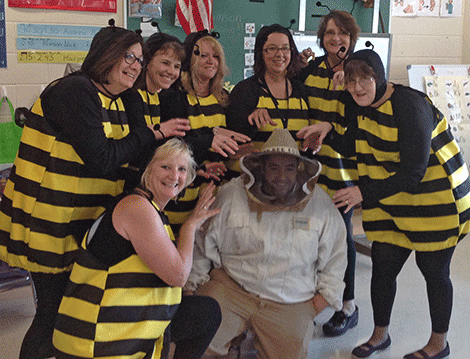 Sharon Miller's BOCES classroom at Lawrence Avenue Elementary in Potsdam were busy bees on Halloween. Their beekeeper helped them get their work done for the day. Brenda Schober, Cheryl Lashway, Sandy Foster, Amy Narrow, Sharon Miller, Lori kingrey, Jackie Willmart and the beekeeper Andrew Stahl. 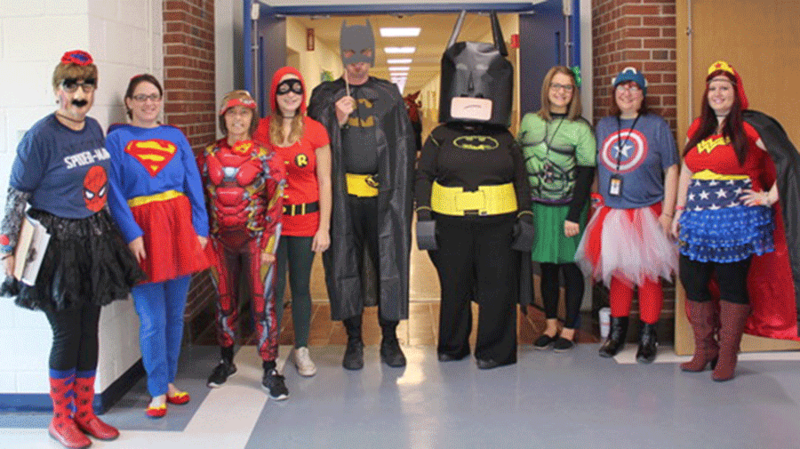 The staff at Lawrence Avenue Elementary School in Potsdam enjoyed dressing up to celebrate Halloween with the students. 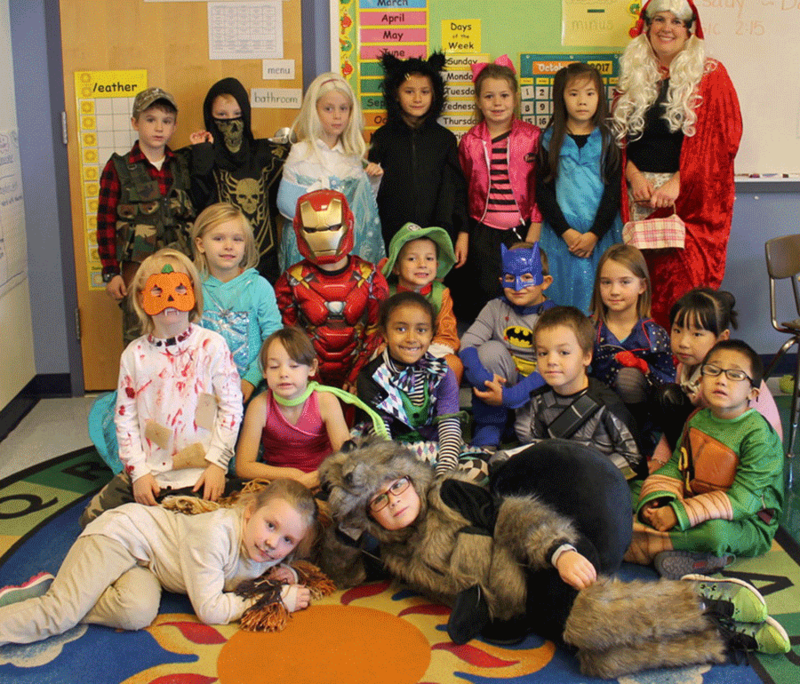 Mrs. Cindi Wilmart’s first grade class at Lawrence Avenue Elementary School had a variety of great costumes for their Halloween parade. 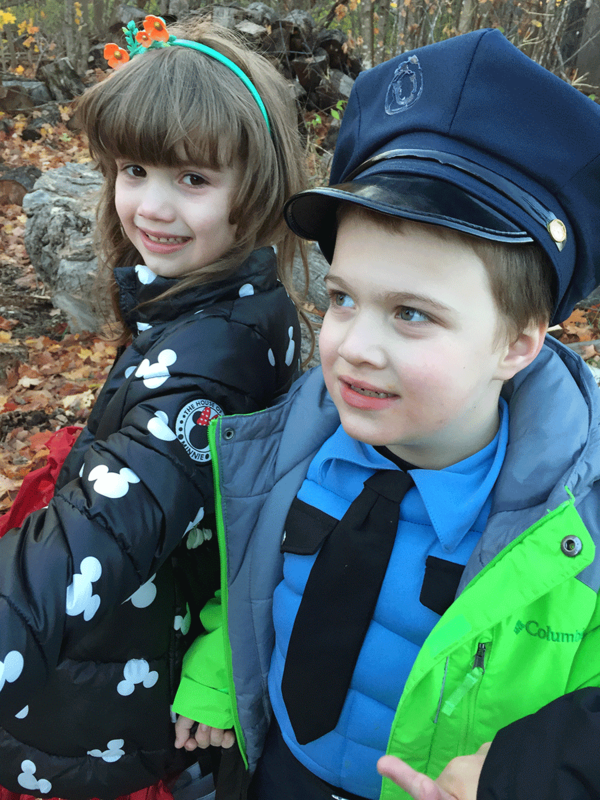 Andrew and Alexandra had a blast trick-or-treating in Parishville. Photo by Abigail Remington. around St. Lawrence County on and leading up to Halloween.